These cottages offer the perfect respite from the real world with its laidback charm, earthy palette and organic simplicity. Nestled in beautifully landscaped tropical gardens that provide ultimate privacy, each cottage also comes with a private verandah. 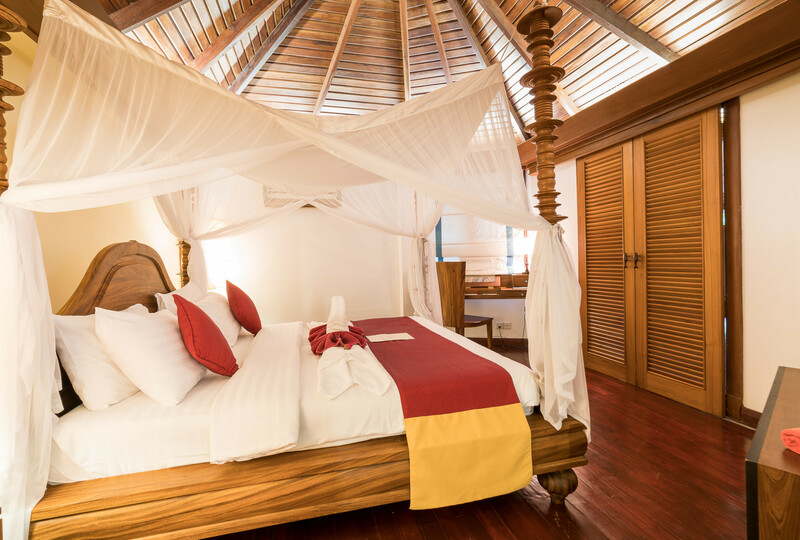 The open-concept bedroom and living area combine to create a private enclave that blends harmoniously with the gardens to deliver a retreat within tropical surroundings and close reach to the ocean. The cottages also feature a walk-in closet and large ensuite bathroom with standing shower and an outdoor shower.